489 in stock Need More ? Fashionpedia is the ultimate fashion bible, containing thousands of fashion items for more efficient and productive brainstorming. Designed to be as visually driven as the people who use it, Fashionpedia contains thousands of fashion items, converting unapproachable technical terms on style, material and production into beautiful charts and infographics. 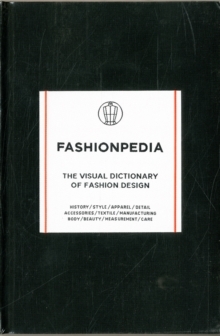 Whether you're an industry insider or a fashion connoisseur, Fashionpedia is all you'll ever need to navigate the fashion scene.